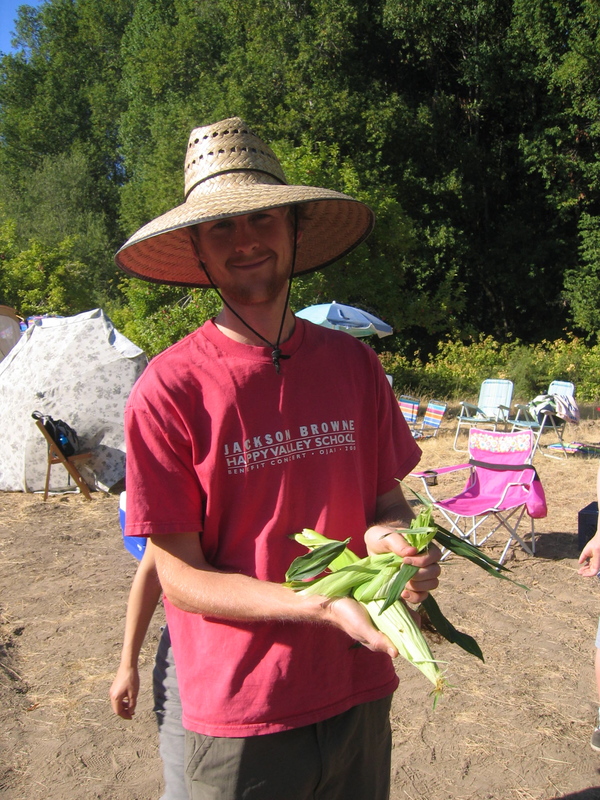 Emmett prepares a wormy ear for bbq. The worm goes for a daring escape. 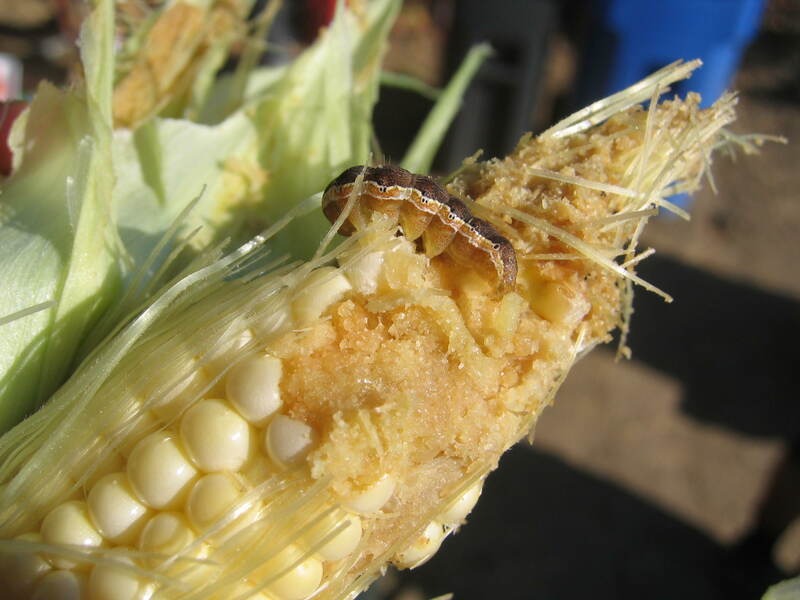 …this post is dedicated to all our customers who understand that worms come with the territory when it comes to good organic corn. Thanks for your enthusiasm and good spirit! 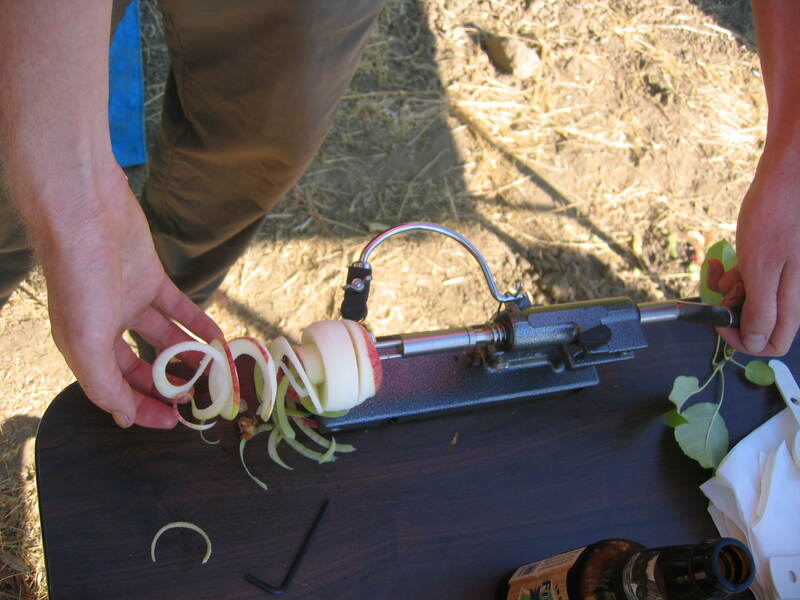 In other news, check out this very cool apple peeler-corer-slicer gizmo we came across at a friend’s orchard party in Guerneville. With this machine, your apple is peeled, cored and sliced in 20 seconds. Having just finished a night of making and canning apple sauce (without aforementioned device), I can say that it is a must have. To all you home canners, happy peeling and goodnight.